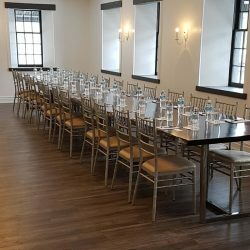 Special events deserve a special venue. 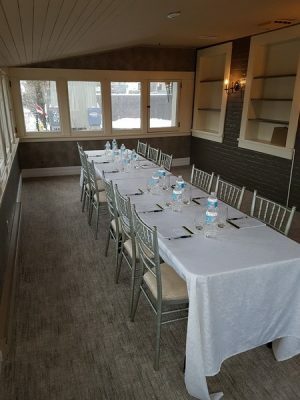 Cellar 52, located in the picturesque village of St. Jacobs, is now open to provide a unique space that is the perfect mix of new chic together with a touch of rustic charm. 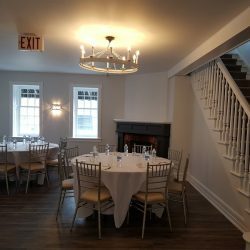 At Cellar 52 they offer a different type of environment that lends itself to the legacy of this 165 year old landmark in St. Jacobs. Specializing in weddings and events, Cellar 52 will help create an occasion that everyone will remember. 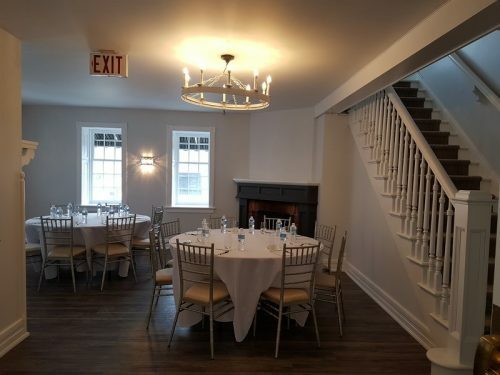 Brides and grooms will find Cellar 52 a great option for their wedding day. 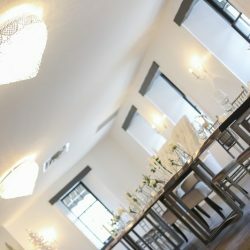 This intimate and elegant venue can accommodate up to 150 guests. Designed in soft tones of white and grey with silver accents, the three indoor gas fireplaces will add romance and distinction to the day. 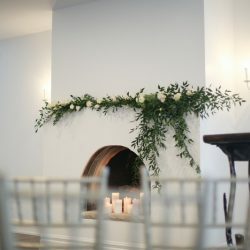 A stone walled patio is available to provide guests with additional mingling space. 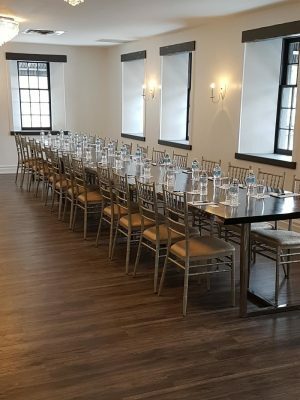 The on-site Bridal and Groom Suites provide a luxurious space for the wedding party to get ready and relax in before the ceremony. 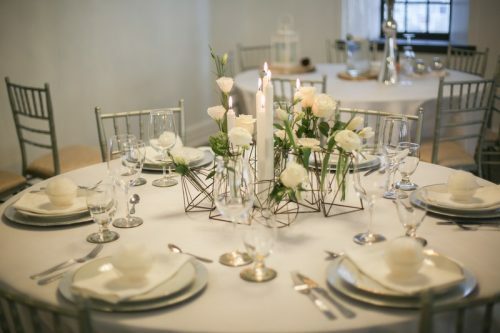 Cellar 52 is located beside the Conestogo River, providing a beautiful backdrop for wedding ceremonies and photos. For out of town guests, accommodations such as the Holiday Inn Express & Suites, Best Western Plus Waterloo and Courtyard by Marriot are all close by. 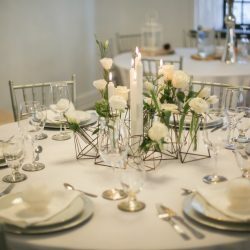 Cellar 52 offers a list of their preferred vendors including caterers, full service decorating specialists and florists. 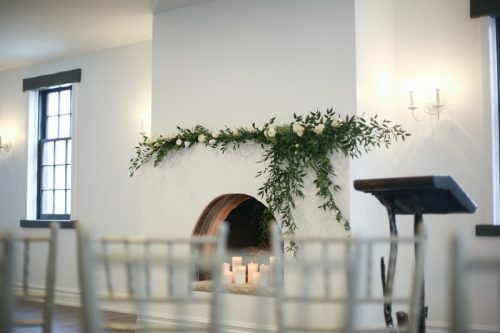 Leave the details to the team at Cellar 52, and focus on the special day itself! Cellar 52 is also a perfect venue for meetings, seminars and luncheons. Relax in one of their 3 conference areas, including main floor rooms that are wheelchair accessible. 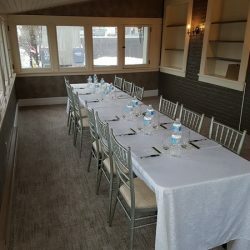 The preferred caterers at Cellar 52 can tailor the menu to meet specific food requests, and all food is made fresh locally. 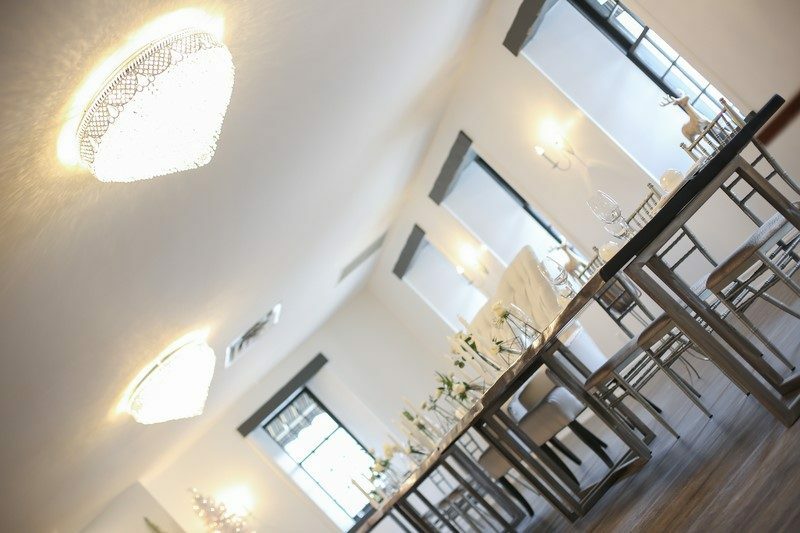 Contact Cellar 52 for full booking details. There really is a flavour for all, at Four All Ice Cream in Downtown Kitchener! Using natural ingredients as well as locally sourced products such as milk from Eby Manor Farm and honey from Nith Valley Apiaries, each flavour of Four All Ice Cream provides a smooth, rich taste with every bite.